It’s official: For each of the past couple of years, the U.S. book market has surpassed one million new releases. That’s right: a million. (That’s over 2,700 new releases per day!) Further, self-published books now outnumber their traditionally published brethren by a factor of more than 2-1. Clearly, self-pub is on the march. The latest news? Libraries and brick-and-mortar stores are warming up to self-pub books. (I refuse to call them “indie,” because it just sounds so pretentious.) Any minute now, store and library shelves will be bursting with titles from Author House, CreateSpace, Book Baby, and all the rest. The old is gone; the new has come. It’s a new day! Here’s the part that one talks about: The mere release of a book means little, until retail customers actually start buying it. And despite the hype you’ve heard, the self-pubs typically sell in tiny numbers. (Largely, this is because the authors do precious little -- if anything -- to market them; they think it's someone else's job.) Estimates vary, but by some accounts, over 90% of all self-pub titles will never sell 100 copies in their lifetime. In terms of unit sales, traditionally-published books still rule. Yup. Everywhere I travel, and in countless blogs and chat rooms, I hear hyperbolic projections about the death of traditional publishing. Literary agents are dropping like flies, they say, because the old-fashioned book deals are becoming a thing of the past. And yet the situation on the ground, as I see it, looks very different. First, as to my occupation: Every week, the Writer’s Digest blog announces a new crop of freshly-minted literary agents. Acquisitions editors leave their secure corporate posts in favor of risky self-employment. Some join existing agencies, while others start up new ventures. What kind of person gives up a regular weekly paycheck, in exchange for the uncertainty of a straight commission job? Indeed, the reports of our demise are quite premature. As a former trustee for a public library, I have connections to library administrators all over Southern California. As I ask around, no one is making plans to stock up on self-pub titles. 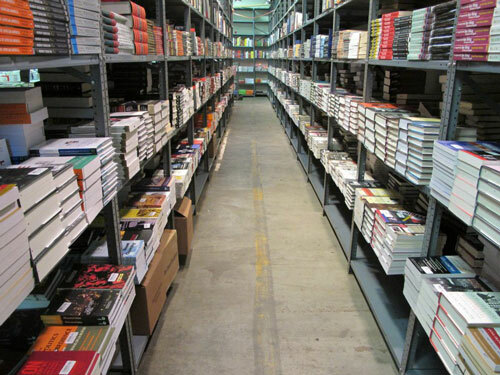 They might pick up a book or three from industrious local authors on a case-by-case basis, but no one is going out of their way to change their buying habits. I doubt that more than a few self-pub authors are making decent money from library sales. Among the store managers I’ve surveyed, both chain and independent, the situation is generally the same but for different reasons. More often than not, self-pub books cost more, cannot be bought on credit, and make less profit. Unsold copies cannot be returned, and are more likely to be closed out below cost. As with the libraries, they might take on a few local authors here and there, but those sales amount to maybe a few dozen copies per year. The bright spot here, of course, is that Barnes & Noble recently announced a plan to start taking on self-pub books. No doubt, this is encouraging news. But in order for the plan to make any serious headway, the vendors and authors will need to make some big concessions with credit, prices, and returns. Absent such a new arrangement, the stores will never make a profit in the deal. Which doesn't bode well for the (alleged) trend. Of course, my research is unscientific and anecdotal. Still, the basic principles of economics remain: We live in a world of scarcity (in this case shelf space), and no one is talking about adding more of it. More shelf space would mean buying new fixtures, adding man-hours to the payroll, tying up more money in inventory, and (potentially) buying more insurance to protect it, Even the biggest store or library is yet a finite space. Will they displace James Patterson in favor of Steve Hutson? Random House in favor of Smashwords? I can't see it. Among the millions (really!) of titles available, I won’t hold my breath for them to acquire mine. I appreciate the info. I'm always glad for the reality check. There is a huge load of bad information on the Internet regarding how-to get published. Us new authors need blogs like this to keep us grounded. Glad to get industry news and inights from someone in the trenches. We dont know what happen next? It is our life, but it is true we think to become something in our life and we will become definitely. The content changed the world of the Internet and because of great content writer service providers we love to enjoy beauty of content.